Enjoy the very latest innovations in home automation thanks to our certified Control4 installers, serving residential and commercial properties in London, the UK, and throughout Europe. For a free demonstration or to discuss your new Control4 installation, call Pro Install AV now on +44(0)20 7096 0078. Alternatively, contact us online to arrange your no-obligation consultation. Our certified Control4 installers in London boast over a decade’s experience in working not only with private homeowners, but with building and electrical contractors, designers, and property developers, helping each one to use this leading smart home operating system to its full potential. For those in the industry, that may mean designing a bespoke Control4 installation which adds significant value to any new development. For homeowners looking to upgrade their outdated system or install a brand new one from scratch, choosing the world’s leading name in home automation means having unrivalled choice and unparalleled control over the way you live, all through a single interface renowned as the easiest to use on the market. Our reputation as the leading Control4 dealers, installers, and programmers in London has been earned thanks to the number of outstanding quality installations we’ve carried out in the city and across the UK, not to mention our dedication to providing first class support when our customers need it most. From designing a brand new system to providing repairs and replacements for existing home automation installations, read on to discover exactly what your certified Control4 dealer can do for you. 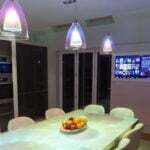 All of our bespoke home automation installations are fully compatible with leading smart home technology brands, including Crestron, Lutron, and countless others. As a result, both private residents and commercial property owners alike can enjoy greater freedom to choose how they control their consumer electronics, network systems, and appliances. New for 2016, our Control4 installations can even be controlled by simple voice commands thanks to Amazon Alexa integration.